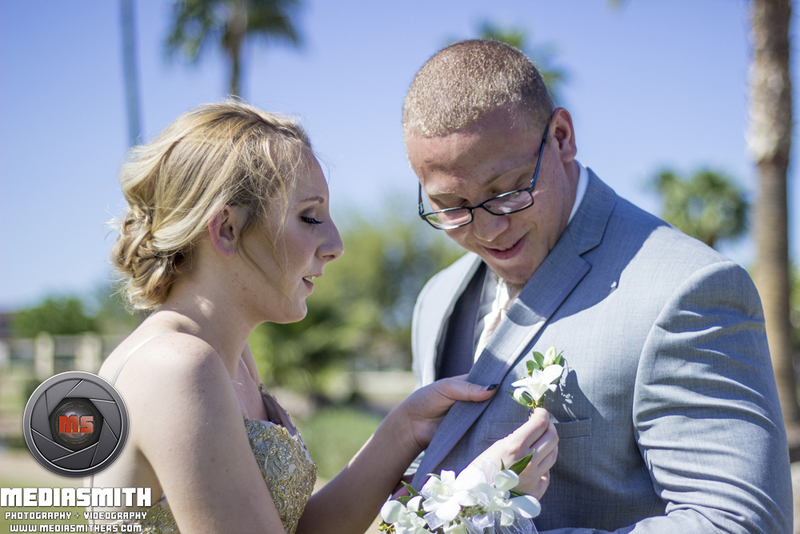 Prom photos, photo booths, senior portraits, and more! MediaSmith has taken these types of photos in Surprise, AZ before. If you’ve got an event in the area and would like a free consultation and quote about it, please feel free to call or email us! WHERE HAS MEDIASMITH TAKEN PHOTOS IN surprise? This was one of the first prom pictures I've done. I started taking photos back in 2011 and my first prom photo shoot was in 2012, but it was very "friend who has a DSLR" vibe. The guy pictured, Aaron, was my coworker at the time. He let me know about his prom coming up and we scheduled a time to meet out in Surprise to take these photos. The only challenge of this photo shoot is the lighting. It can create a hard shadow on your subjects, but if you get the angles right, you can eliminate those shadows. Prom photo shoots are fun for me because they are quick and expectations are low! And by low expectations, I mean I don't have to be crawling on the ground to get the right angles or hanging from tree branches to shoot top-down on my subjects. My second photographer Andre and I did these photos at Asante Community Entrance in April of 2018. Again, the challenge of prom photo shoots is lighting. We ideally want to photograph our subjects in the early morning when the sun is rising or in the evening when the sun is setting. But, with proms, we do not have that luxury. We have to get these photos done in a hurry because they need to scurry off to dinner or to prom downtown. So, we always try to make the shoot fun, simple, and easy. This was a fantastic shoot because the folks were great. All I ask for prom photo shoots is that we have fun! And that whole entire day should be fun, so that's the vibe we try to go for. contact us to book your prom shoot today!